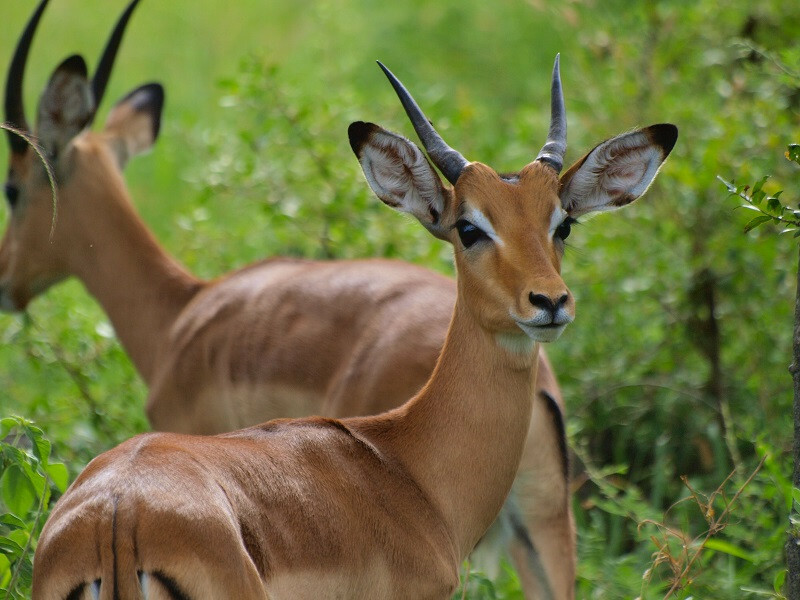 Want to see hundreds of elephants, prides of lions, leopards during the day and the odd cheetah? Well this is the trip I would recommend! For me as a safari guide, there is nothing quite as exciting as the prospect of an adventure into the wilds of Botswana. 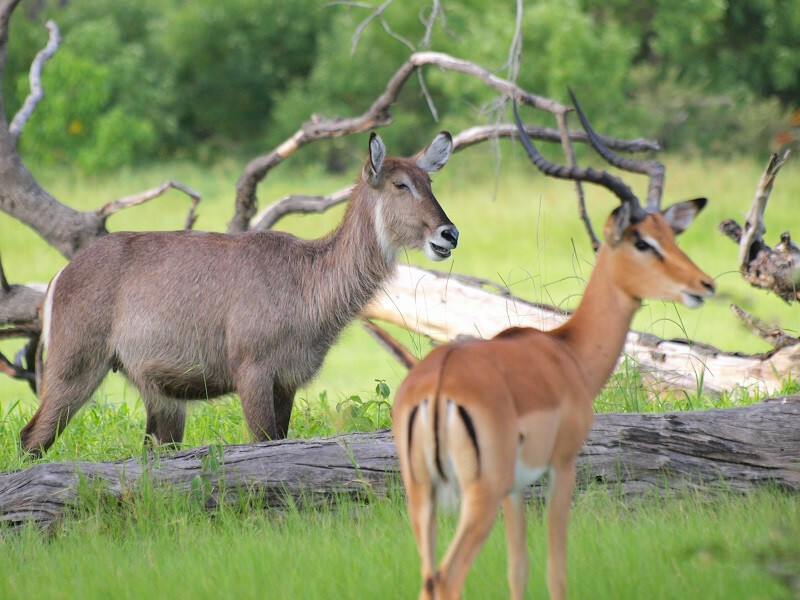 Recently I went on a private tour that included 2 of my most favourite nature areas in Southern Africa, the Chobe National Park and the Moremi Game Reserve. There is nothing quite like a game drive, especially in the “real wild”, not some fenced in game reserve or farm. 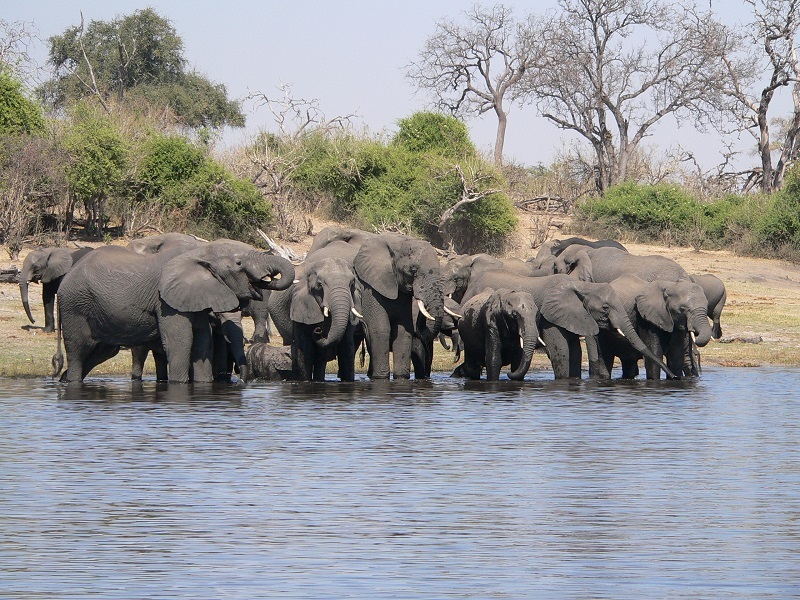 What really is exciting is that one can go on a boat viewing “ride” on the Chobe River and view animals in their natural habitat much like you would on a game drive. The big advantage being that one can come within meters of the wild animals drinking at the waters’ edge, for some or other reason they are not afraid and do not view the boat and its passengers as a threat. We spent a few days on the Chobe at the Zovu Elephant Lodge, the perfect place to explore the kilometers of the Chobe riverfront where hundreds of elephant and other animals come to drink. Savute was our next destination. It did not take long before we found ourselves past Kachikau and in deep sand, no real roads, just tracks and no other people in site. 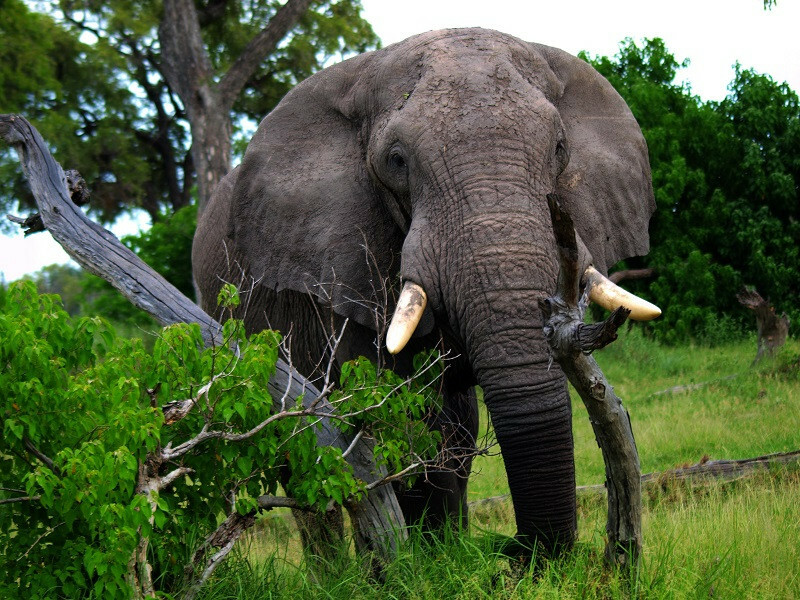 The Chobe forest reserve is a nature area that sees huge herds of elephant travelling up from the Okavango swamps to the Chobe river. This vast area gives one a wild feeling, not knowing what will appear next, where exactly is the track leading to? The Goha Hills appear as one approaches the park entrance and then we find ourselves on a permanent game drive all the way to Savute camp. 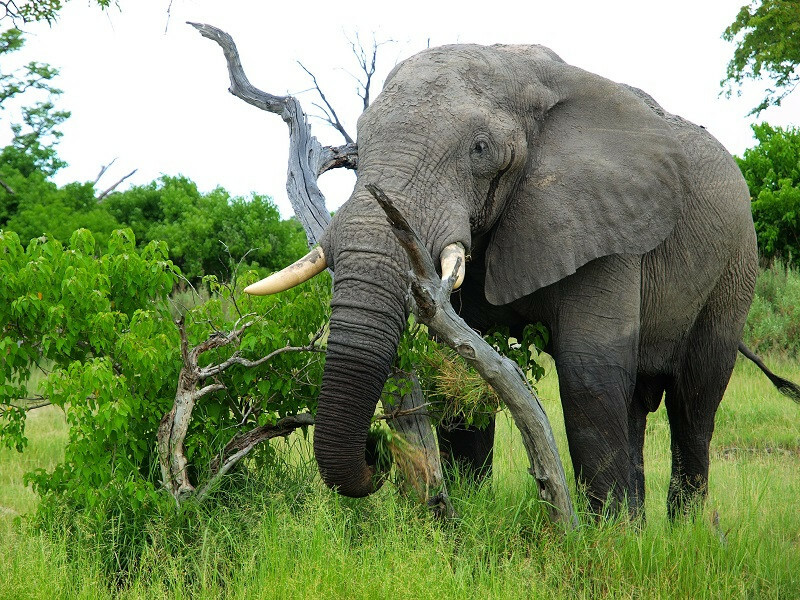 The area is home to a large variety of animals including elephant, lion, buffalo and leopard. 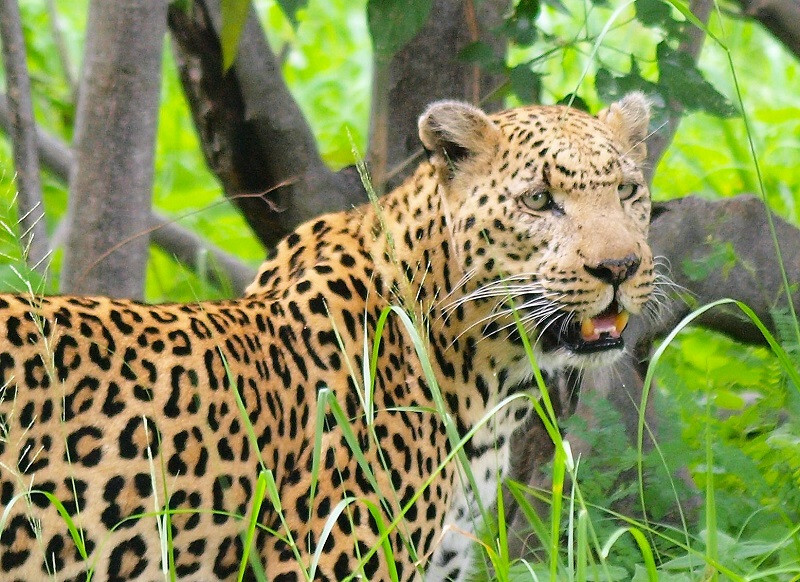 Leopard viewing in the wild is one of the major highlights of the Savute. It’s a place where you can almost guarantee a leopard sighting every day. This is very rare, as most guides would tell you, leopards in Namibia for example, are much harder to find. 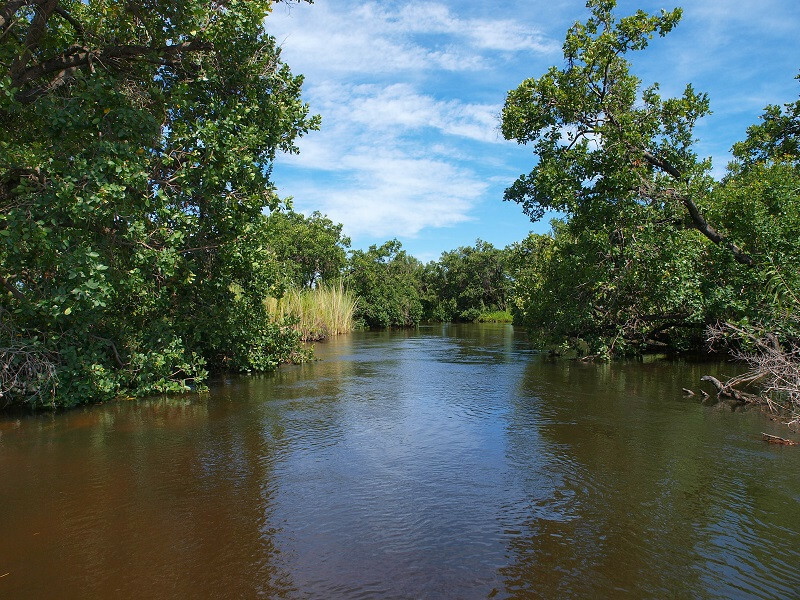 There’s a history to the Savuti that tells of the reawakened river channel, once dry and dormant for a spell of almost 30 years. 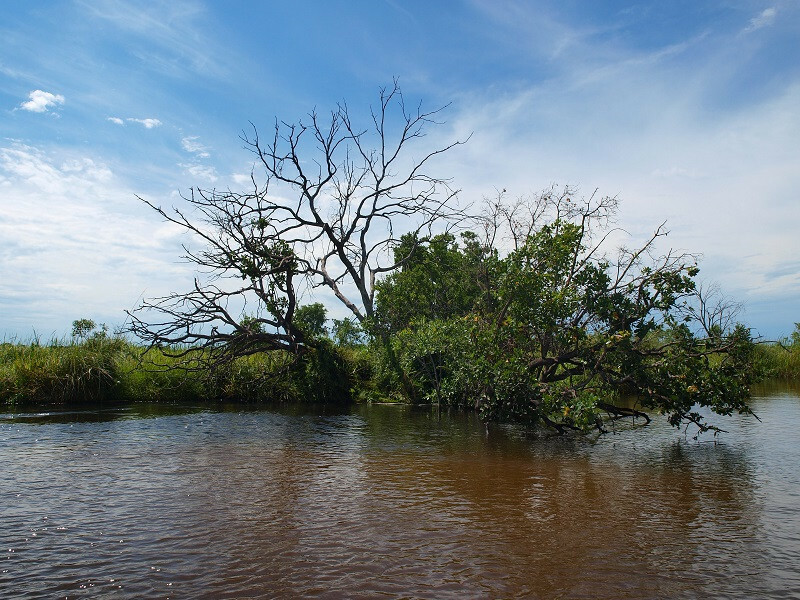 This ecosystem adapted to the dryness of the empty Savute River bed until 2008 when, as if by magic, the water began to flow. The water remained for a few years but has since dried up again. I was fortunate enough to experience the Savute in 2008 and 2012 with water in the channel. This was a time of plenty, water in the marsh and hundreds of elephants and other animals enjoying this temporary “garden of Eden”. 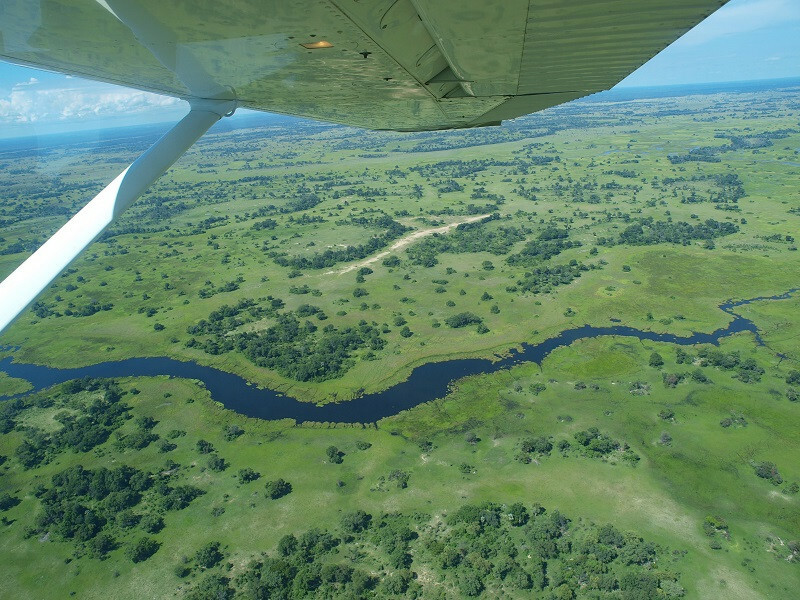 The amazing thing is that hippos and crocodiles arrived in the area and it took on the feel of the Okavango Swamps. Leaving the Savute, one has the option of driving into the Savute Marsh or driving the shorter sand ridge road southwards to the Mababe gate and the Mababe Depression. The game drive continues with a good opportunity of spotting wild animals including African wild dog, lion and other exciting animals. 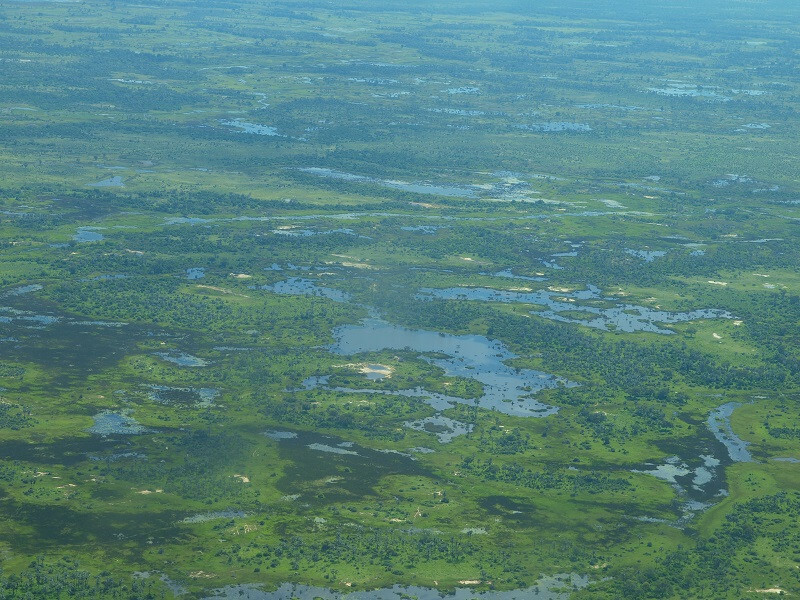 The Moremi Game Reserve includes the Okavango Swamps. 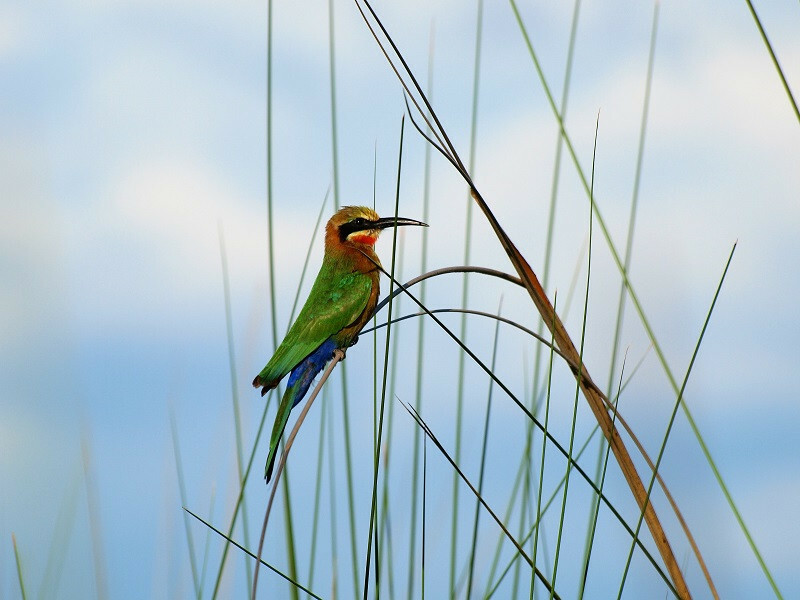 The area is a challenge to visit as the waters of the Okavango river spread out onto the sands of the Kalahari Desert without any definite plan. It is made up of many different channels, each year different to the other, making it difficult to build proper roads and infrastructure. This is what make the area exciting, you never know what to expect or how you will travel for point A to point B. Deeper in the delta you will find lodges that are accessible only by plane or boat. This gives them a unique feeling, imagine, an island somewhere deep in Africa, surrounded by forests, water and animals. 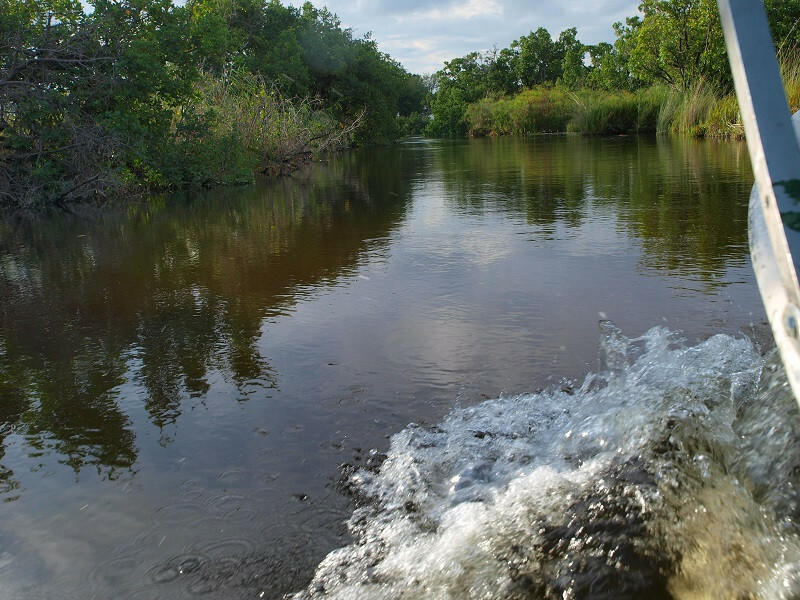 On the edges of the swamps however, there are many different areas that are accessible by 4 x 4 vehicle. 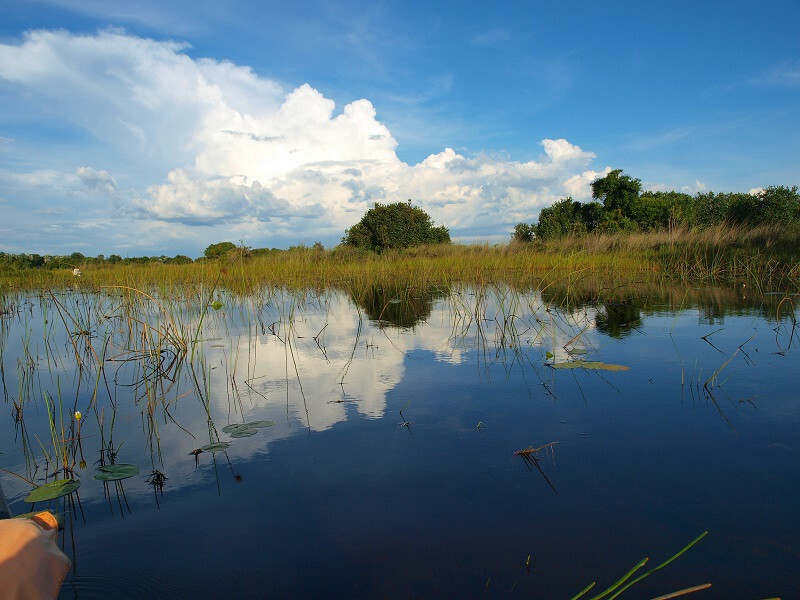 These areas are also wild and are home to just as many animals as to be found deeper in the swamps. 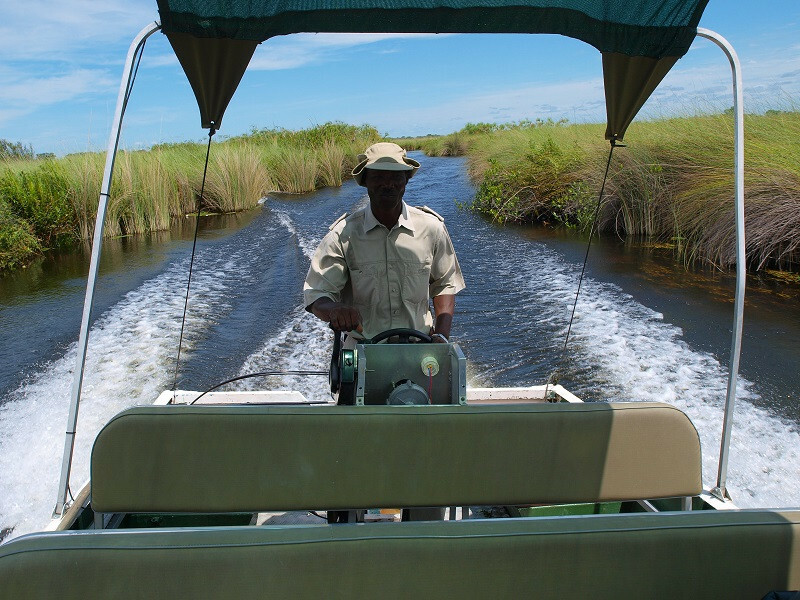 To be able to successfully drive deep into the most interesting parts of the Moremi Game Reserve, there are a few strategic bridges that make it possible to cross the deepest channels. These rickety wooden bridges are great fun to cross and add an element of adventure. This is part of what make it so enjoyable to travel by 4 x 4 into this game reserve, on game drive and traveling to various lodges and camp sites. River crossings are often easy to do as the sands of the Kalahari are firm and hard most of the time. The depth of the water is sometimes a challenge as it is not a good idea to submerge the cars engine under water, at these times an air inlet snorkel that sticks out above the car is very useful. But why all this driving through such a challenging area? The game drive of course! 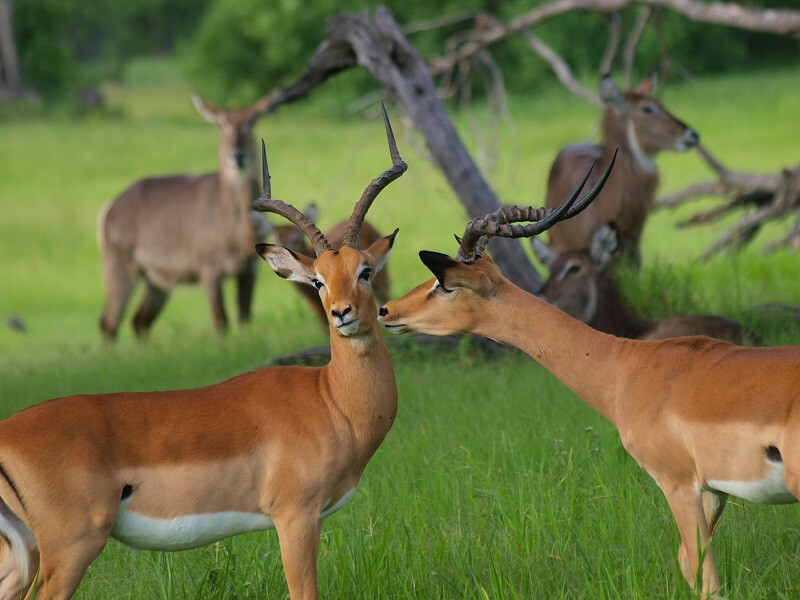 The game viewing is amazing and the areas that one gets to visit are out of this world, hidden away areas along rivers, open plains, in forests that are home to so many different animals and birds. 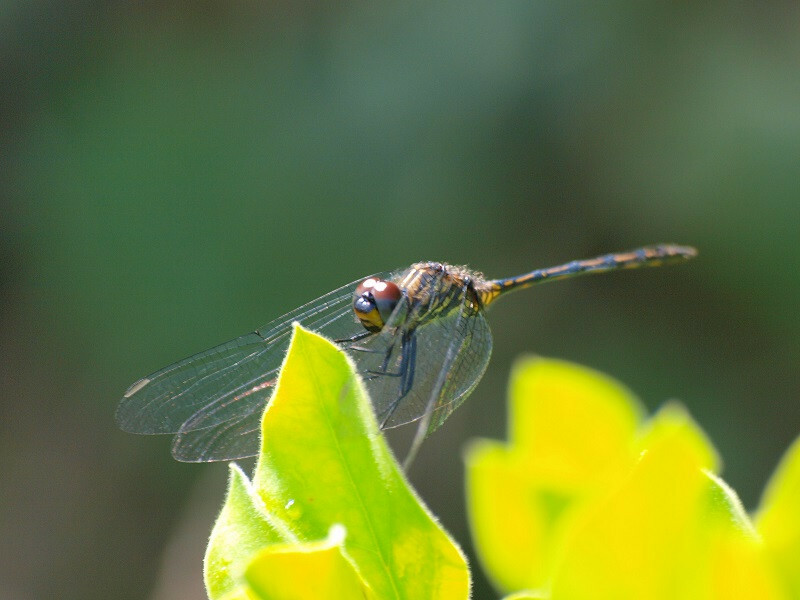 The water channels and riverine grasslands provide a broad mix of land and water animals living side by side. 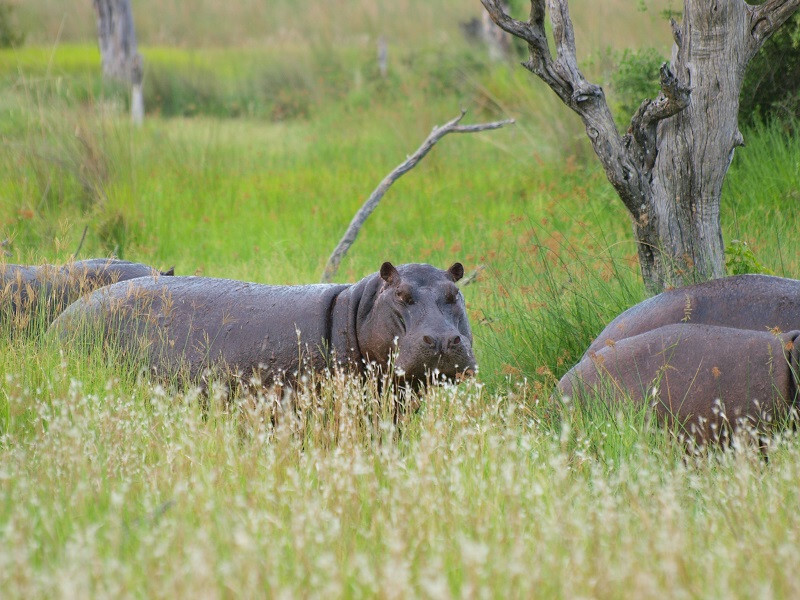 From the Khwai river it is a continuous game drive past the Hippo pools and Paradise pools all the way to Xakanaxa. 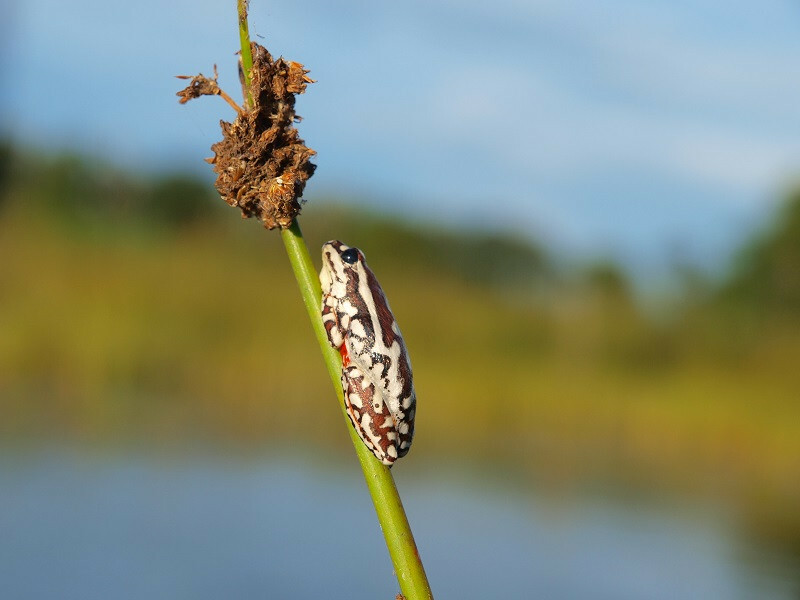 Xakanaxa is found against a permanent part of the swamps and where one can camp or travel by boat to one of the nearby lodges. From there it really is exciting to drive the route via third, second and first bridge all the way to South Gate. It is well worth spending 2-3 nights here in order to game drive as much of the area as possible. From South Gate it is an easy drive back to Maun from where one can return to Namibia or continue to other interesting parks including the Makgadigadi Pans and the Kalahari Game Reserve.